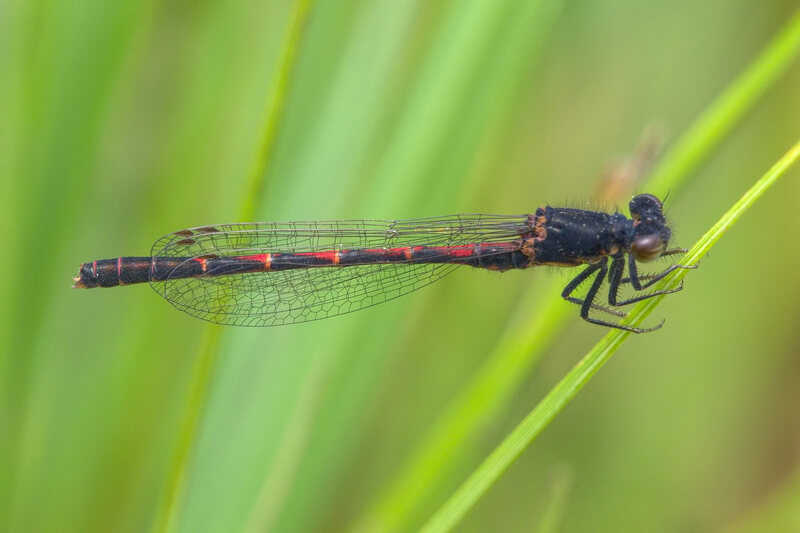 Until now the latest date that Western Red Damsel had been recorded in Arizona was 29 August (2009). A single male of the species (photo below) was found on 4 September 2017 at McNary Bog, Apache Co., thereby extending the known flying period of the species in the state by almost a week. Western Red Damsel, Male, McNary Bog, Apache, AZ, 4 September 2017.